SR Construction Services is a true “single source” general contractor experienced in large-scale commercial restoration projects. We provide the insured, adjuster and carrier one single source for emergency services, flood mitigation, fire restoration, mold remediation and full reconstruction services. Delivering the best client experience and having 100% satisfaction is our goal. No matter what the emergency, having a plan in place to return your business back to full productivity in the shortest time possible is essential. 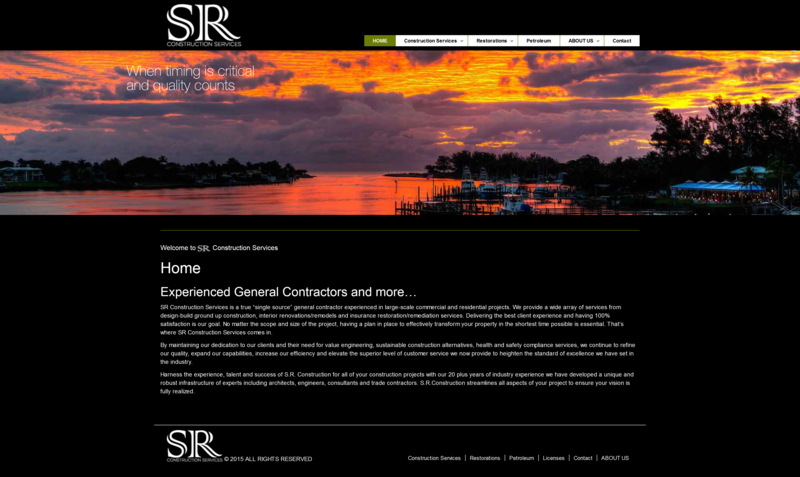 That’s where SR Construction Services comes in. By maintaining our dedication to our clients and their need for environmental, health and safety compliance services, we continue to refine our quality, expand our capabilities, increase our efficiency, and elevate the superior level of customer service we now provide to heighten the standard of excellence we have set in the industry. In large-loss situations, SR Construction Services has proven to be a tremendous resource to commercial property managers and companies in offsetting the burden for management and owners on commercial insurance claims, especially when dealing with the complexity of the HO6 statutes and how those affect the responsibility and liability of the repairs. We have had the privilege of contracting with several clients on large projects where we were able to work with the insurance carrier to estimate the damage, present the options to the ruling authorities and complete the repairs under the oversight of company management – all this while allowing them to complete their day-to-day responsibilities without the added stress or complication of negotiating and/or micro-managing a construction project. SR Construction Services has proven to be very useful for commercial properties – and we’d like the opportunity to meet with you personally and discuss our capacity as a resource for you.